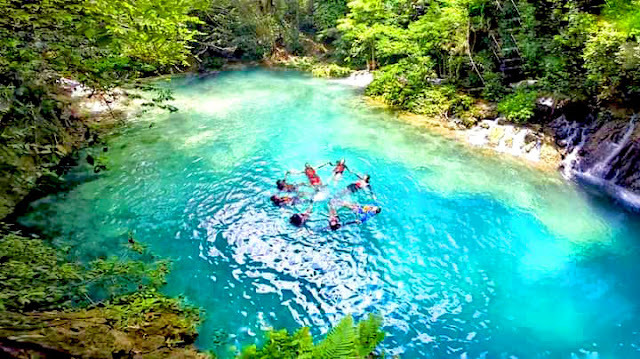 One of the most visited places in South Cebu and a MUST DO is the Kawasan Canyooneering. 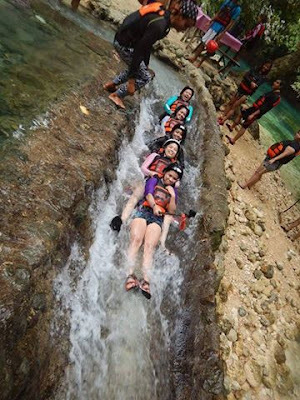 Activities included in this South Cebu adventure are extreme ones like jumping and diving, scrambling, rappelling, trekking, sliding on strong flow of water over a real ROCK slide down to falls, swimming and more! For first timers, you really have to try this! Don’t miss that A-MA-ZING experience! Conquer your fear! For experienced, you’ll love to try it again and again! Here are the following things you will need to know before your canyoneering adventure! Be prepared, leave your cold feet and bring a lot of courage to make your extreme adventure a blast! We know that canyoneering is a MUST-DO adventure, but do we know what it actually means? 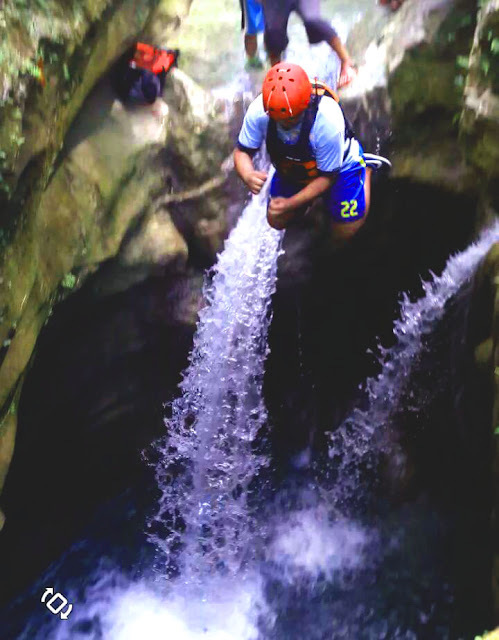 In most parts of the world canyoning or canyoneering is done in mountain canyons with flowing water. 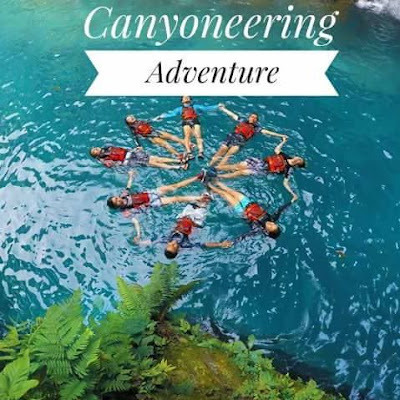 It is the sport of exploring a canyon by engaging in such activities as jumping and diving, scrambling, rappelling, trekking, sliding on strong flow of water over a real ROCK slide down to waterfalls and swimming. Canyons that are ideal for canyoonering are often cut into the bedrock stone, forming narrow gorges with numerous drops, beautifully sculpted walls, and sometimes spectacular waterfalls. Most canyons are cut into limestone, sandstone, granite or basalt, though other rock types are found. Canyons can be very easy or extremely difficult, though emphasis in the sport is usually on aesthetics and fun rather than pure difficulty. A wide variety of canyoneering routes are found throughout the world, and best done in South Cebu Philippines where people all over the world come to try it. Canyoneering is enjoyed by people of all ages and skill levels. Badian Canyooneering adventure starts at Sulsugan Badian. From highway to the start point, you'll need to ride habal habal and travel for 25 minutes. Then followed by 27 minutes trekking to the first jump. 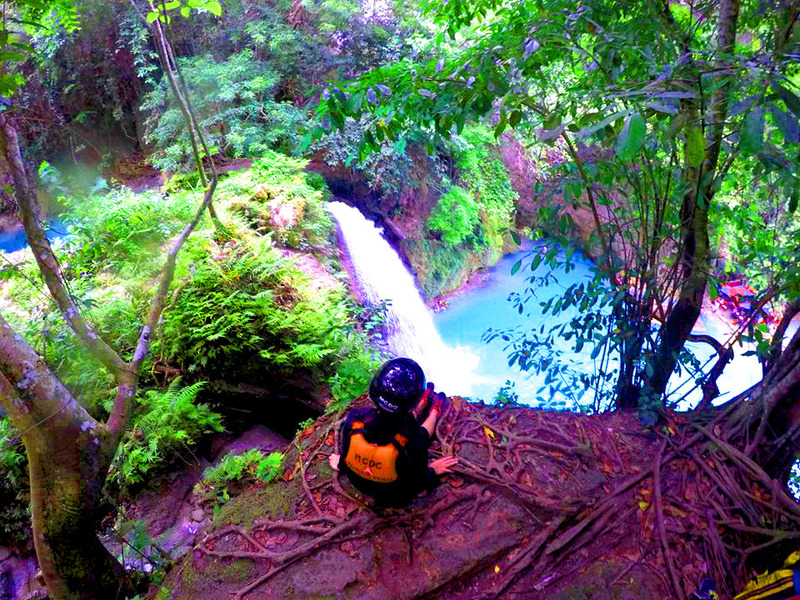 Badian Canyoneering adventure will end at Kawasan Falls at Badian Cebu. Habal-habal is a single motorcycle for rent that can carry up to 3 persons. Experience a panoramic view during the 20 minutes habal-habal travel. Best time to do canyoneering is between 6AM to 3PM. Alegra Tourism only allows start time the latest at 3pm. You need to go out before the sky become dark. 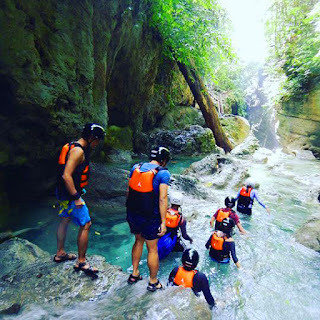 Most recommended to start the earliest so you can maximize your time in canyoneering or stay more in refreshing Kawasan Falls in the afternoon. Life vest and Helmet which are the number one necessity in doing a canyoneering. These are safety gears that protect head from rocks (Helmet) and allows you to float when you dive (vest). Bring dry bag or waterproof pouches, snacks, pocket money, extra clothes and extra battery for you go pro. Do not bring SLR Cam. And bring extra memory card as well! It might bump into rocks or get wet. 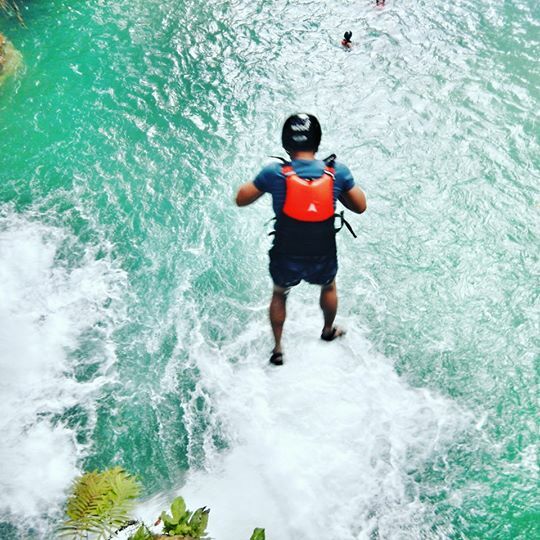 Aqua shoes or trekking sandals is required as you need to do rock walking and cliff diving. For rents are available for 50 pesos. Leave your cold feet at home and bring a lot of courage and adventurous spirit. Downstream canyoneering is less complicated one but still you’ll need to be more mindful of any step you’ll be taking. In some areas, rocks are massive and some places the rock edges are very sharp. The waterfall is quite strong and underwater ledges are low. Some phases are sleeper and sloping. There first jump on the downstream canyoneering is a fast flowing high waterfalls and the highest one among the rest of the jumps. It would be easy for you on the next ones. The downstream canyoneering is best recommended for beginners who won’t like to get shocked of his/her first canyoneering adventure. Cliff diving is lower than the upstream of course and there are optional falls to jump off. You can choose other way by walking and not by diving. Downstream canyoneering will start from Alegria to Kawasan Falls. The best place to do Canyoneering? 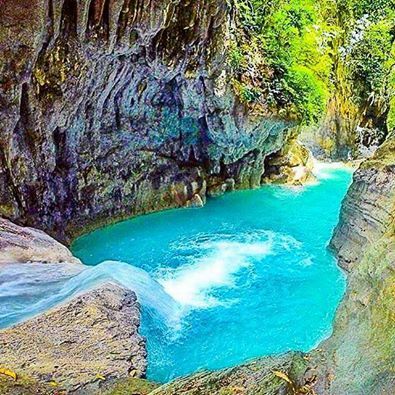 Kawasan Falls is located in the mountains of Barangay Matutinao in Badian, South Cebu in the Philippines. 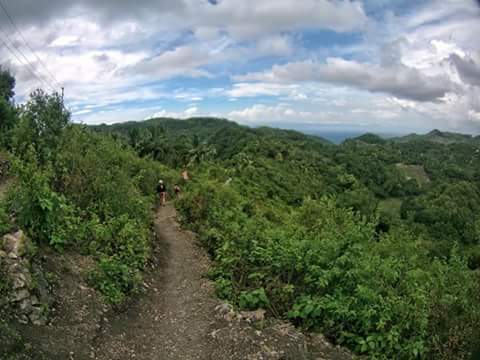 Badian is located roughly 100 kms southwest of Cebu City, about 2 hours away by private vehicle and 3 hours by public vehicle from Cebu City. Coming from Cebu City, it’s the next town after Moalboal, which is known for its dive sites and beaches. Check weather forecast days before canyoneering activity. Don’t risk your life over a strong rain or typhoon. If you are beginner and you don’t have that expert swimming skills and or trekking experience, settle for downstream, it’s fun and adventurous as well! Always follow guide and don’t stay away from the group. Prefer weekdays booking. Expect long queue on weekend. Reserve a slot ahead of time for this activity. 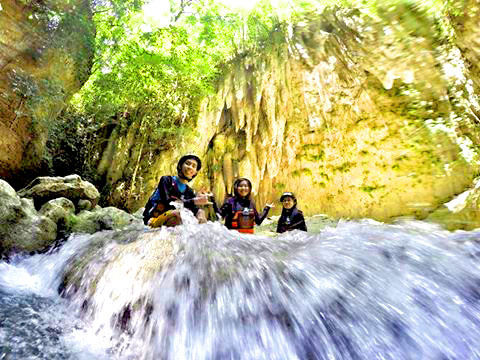 Canyoneering will consume 4-5 hours long and will vary if the queue line is long due to some who are afraid to jump. Rate for this activity starts from P 1,500. 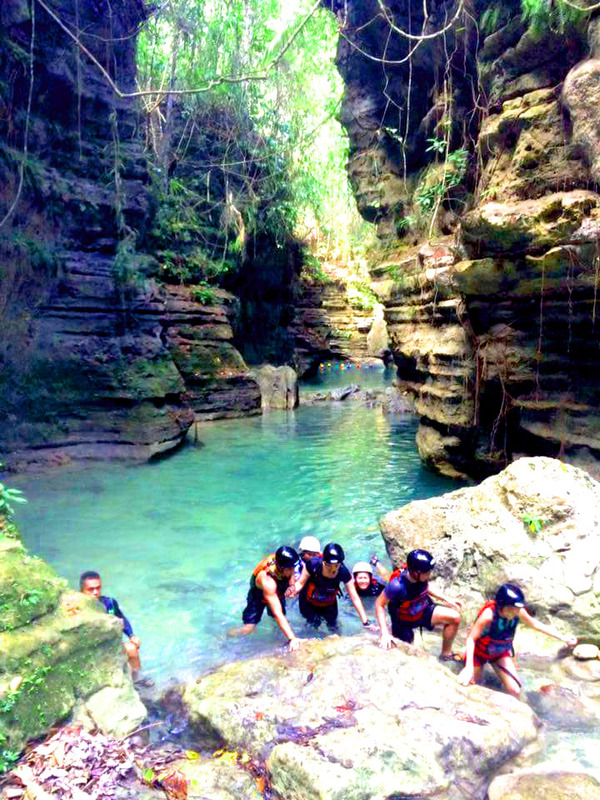 Find a very reliable Kawasan Badian Canyoneering Expert. Would you dare jump off canyons? South Cebu Travel Bucket List!